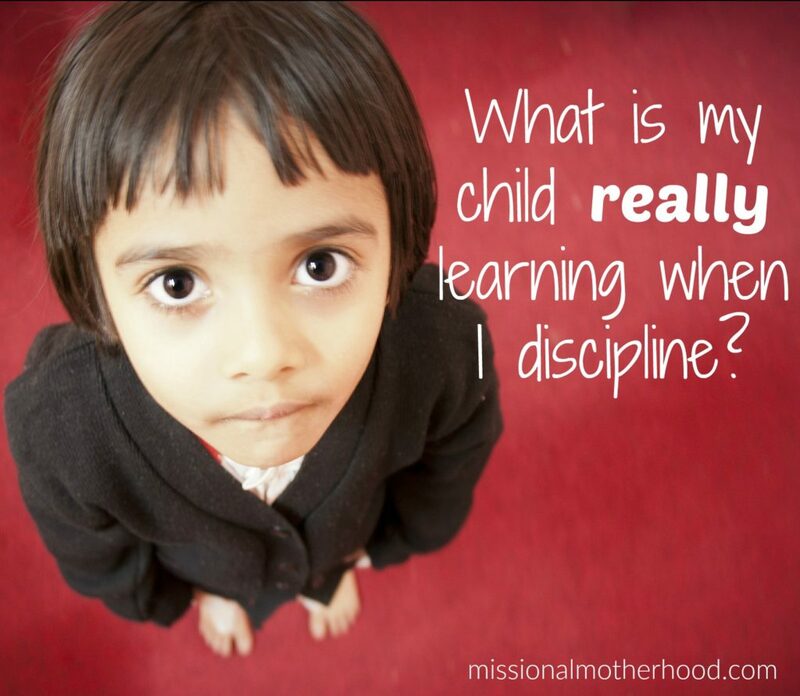 What is my child really learning when I discipline? We are excited to share a guest post by Jim and Lynne Jackson, co-founders of Connected Families and co-authors of Discipline that Connects with Your Child’s Heart. If you are in need of fresh wisdom in the area of discipline, we hope this post encourages and equips you as you seek to train your children in the discipline and instruction of the Lord. Thank you for sharing with our readers today, Jim and Lynne! When our three lively kids were young, we were frequently exasperated and scrambling for behavior management methods and ideas—whatever we could find to calm the chaos. Like many other well-intentioned parents, we learned a tough form of parenting and were typically firm and stern when kids acted up. “It is NOT OKAY to treat your sister like that!”—or—“What is with you? I’m so tired of you arguing about your chores!” We handed out various punishments and consequences in our effort to “be the parents,” hoping the kids would learn their lessons. The subtle, but powerful messages parents unintentionally communicate during discipline can shape identity as they become a child’s inner voice. We looked to the whole of scripture and repeatedly found a God who is slow to anger and rich in mercy. Other than on very rare occasions, we found God’s approach to his “children” to be extremely gracious and patient. Our work as both parents and professionals with other people’s kids helped us understand that mercy and patience seemed far more powerful than controlling dominance. Along the way we figured out that we felt much more satisfied and the kids were much more cooperative when we focused more on the messages of God’s grace and truth than on “getting them to obey.” We designed a simple framework that guides parents into four key actions and four corresponding messages. This unique way of helping parents follows the biblical example of shaping identity with God’s grace and truth as the basis for transforming lives. When we raise kids who know who they are as children of God, they want to walk in God’s calling, which includes the respect and responsibility that parents hope to build into their lives. 1) Child, You are SAFE with me. Matthew 12:34 tells us that the mouth speaks out of that which fills the heart. When parents know who they are in Christ, they can be okay, even when their children are not. They can be a safe presence when kids are struggling. And kids learn best when they feel safe! 2) Child, You are LOVED no matter what. Jesus defines parenthood in the parable of the prodigal son. Both the younger, pleasure seeking son and the bitter older son were selfish and insulting. In response to both rejections, the father graciously invited each son to experience his love. When we learn to follow that example, we represent the heart of our heavenly Father, and capitalize on the golden opportunity in misbehavior to communicate truly unconditional love. 3) You are CALLED and CAPABLE. 4) You are RESPONSIBLE for your actions. Matthew 5:23,24 tells us that making it right with someone we’ve wronged is our first priority over any other activity. This scripture isn’t just for adults! We teach parents that effective discipline puts responsibility on the child to make right what they’ve made wrong. Our kids need us to gently help them discover the natural impact of their misbehavior, and then hold them accountable to make it right. Families who grow in identities of grace and truth, even when the heat is on, begin to see amazing changes. Discipline moments become times of rich connection and growth, instead of deepening resentment. Families grow in their love for God and for each other, and begin to walk in God’s purposes for them. So consider—What messages might your kids have been receiving from your well-intentioned efforts at discipline? We desire to come alongside you and equip you with many practical tools to communicate these four powerful messages to your precious kids. If these four messages are valuable to you, check out our book, Discipline that Connects with Your Child’s Heart. There are many real life examples in the appendix where we apply these four messages to the 15 most common misbehaviors parents face. If you are still looking for more, check out our blog, and the testimonials of families with whom we have had the honor of working alongside personally. Since 1993 co-founders of Connected Families and co-authors of Discipline that Connects with Your Child’s Heart, Jim & Lynne Jackson, have worked in the trenches with parents of all kinds—single parents, adoptive parents, parents of teens, parents of kids with intense behavior challenges, parents in blended families, parents of wealth and parents in poverty, and any other kind of parent you can think of. 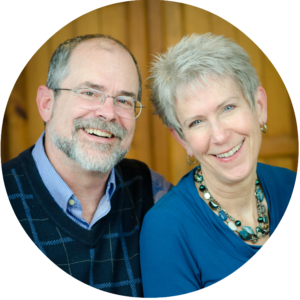 Jim & Lynne and their growing team are committed to bringing you content that will challenge, encourage, and equip you to be the thoughtful and confident parent you long to be. Please leave your comments below! Have you read Jim and Lynne’s book or are you planning to check it out? We’d love to hear your thoughts below! Never miss a post from us! We'll email you when a new blog is published.